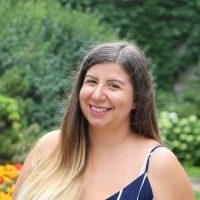 Rose is the Senior Marketing Specialist at Ludia, located right here in Old Montreal. She's worked across many of the titles at the game studio, including 5 years across the Jurassic Park franchise. Graduate from McGill University in both Public Relations and Marketing, she spends her time optimizing user acquisition campaigns, fine-tuning the mobile games ASO and planning stellar Live Operations. She has over 7 years of customer service experience, building, training and leading teams.